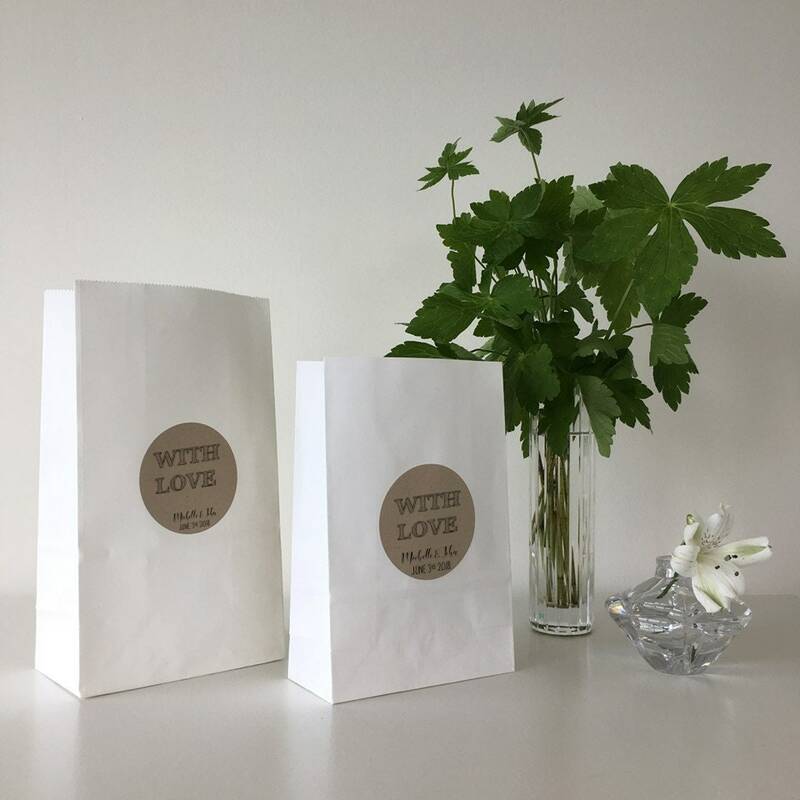 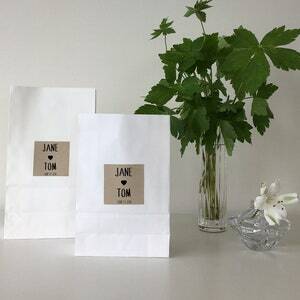 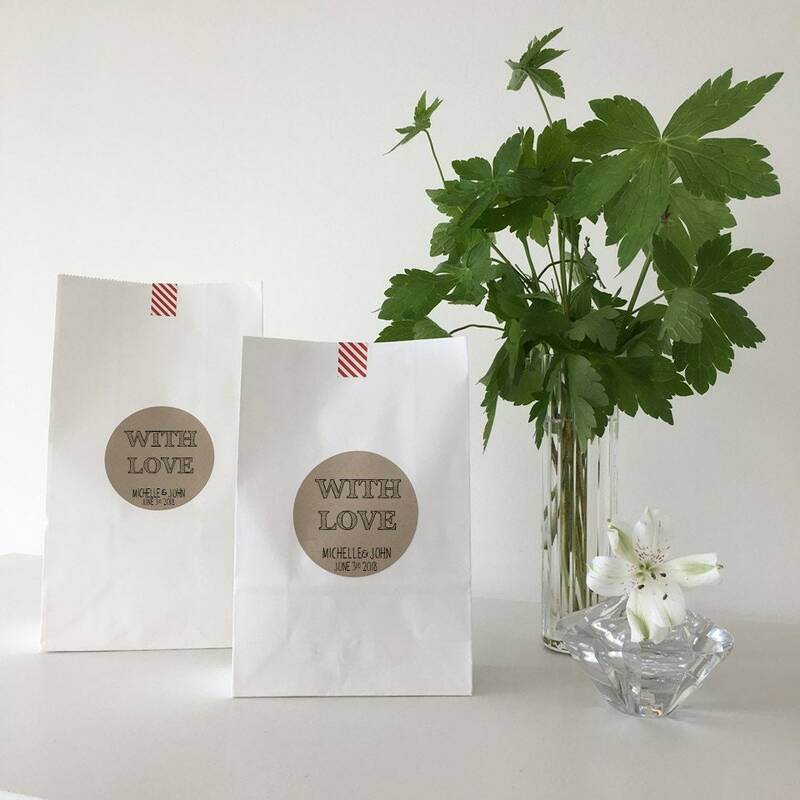 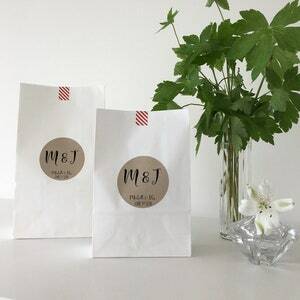 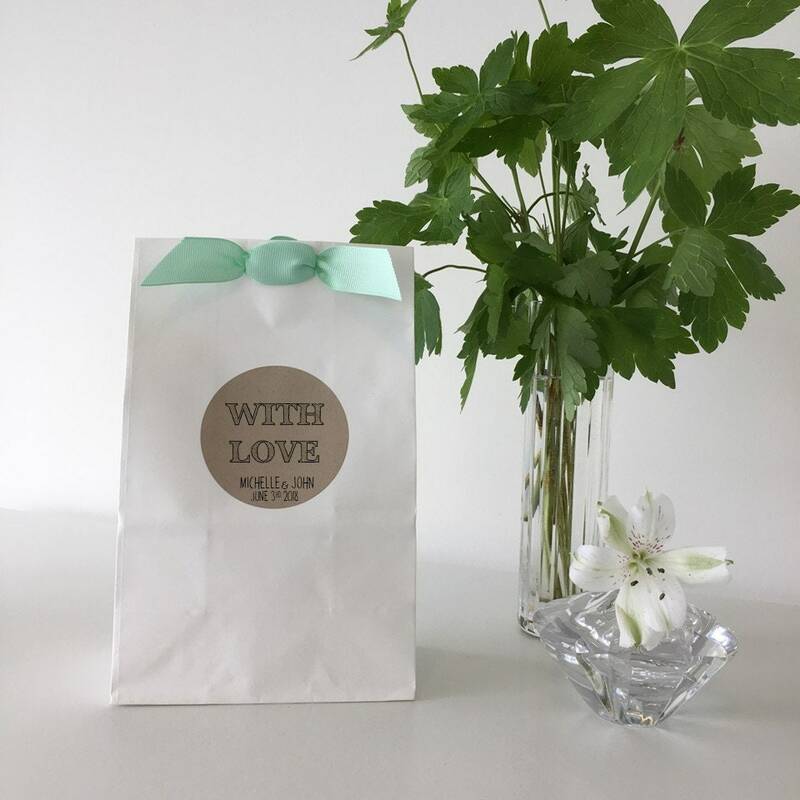 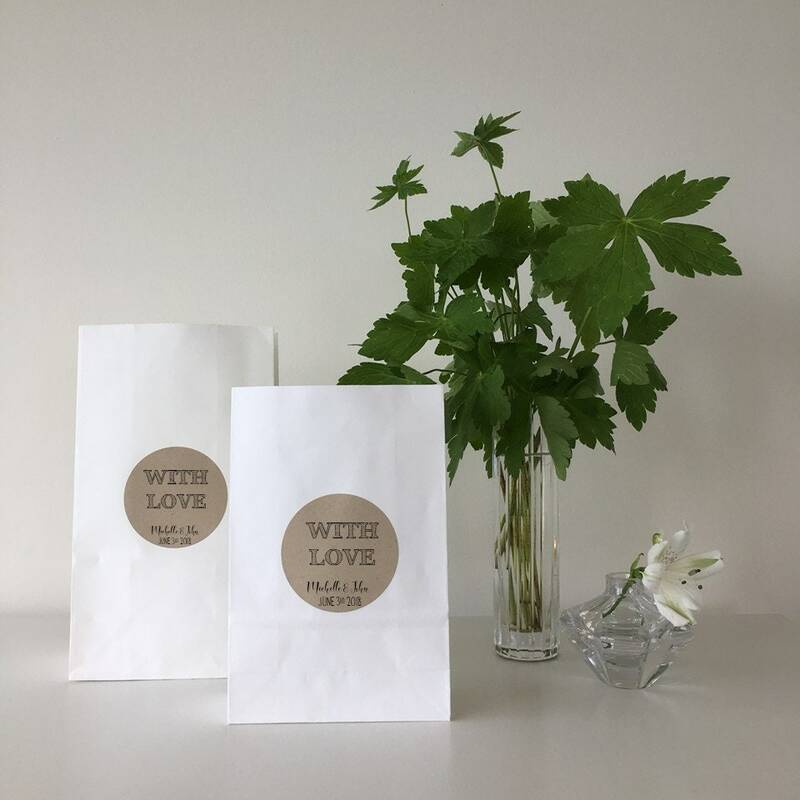 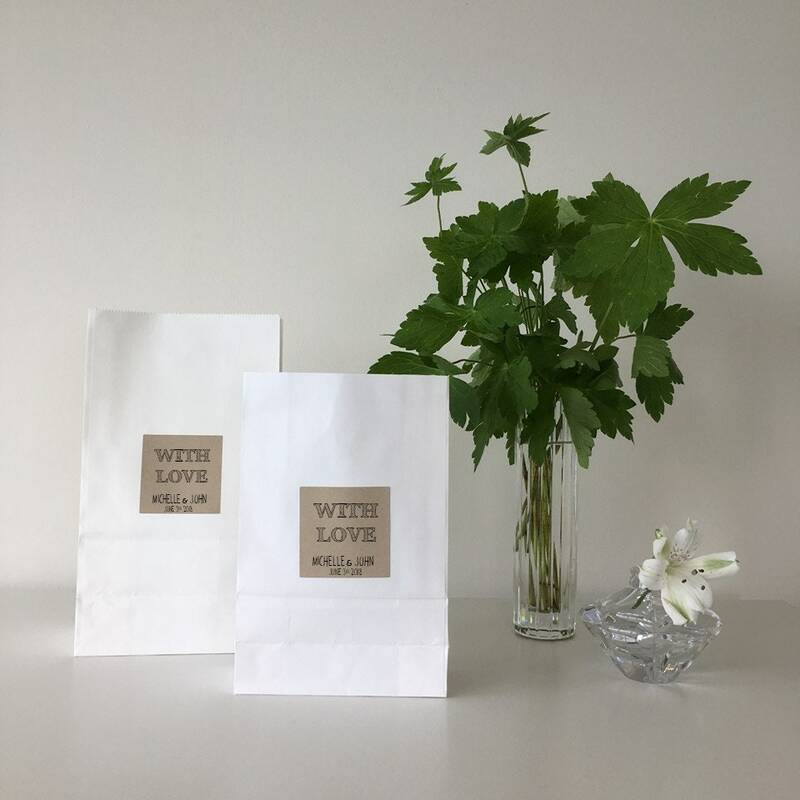 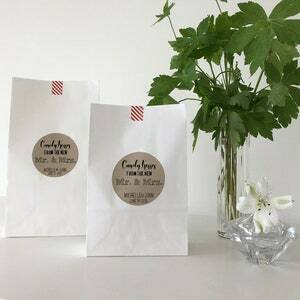 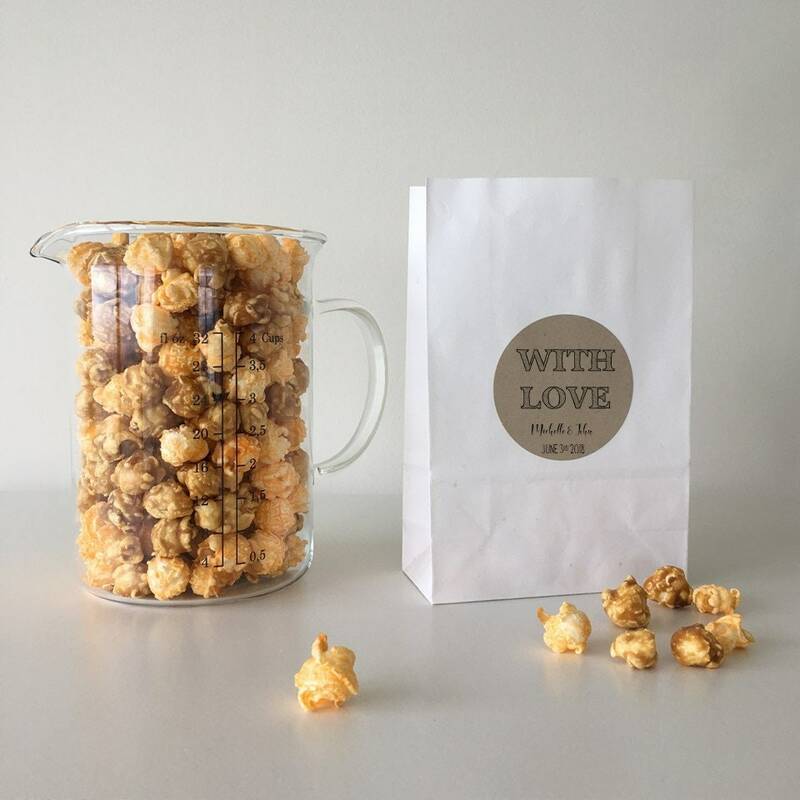 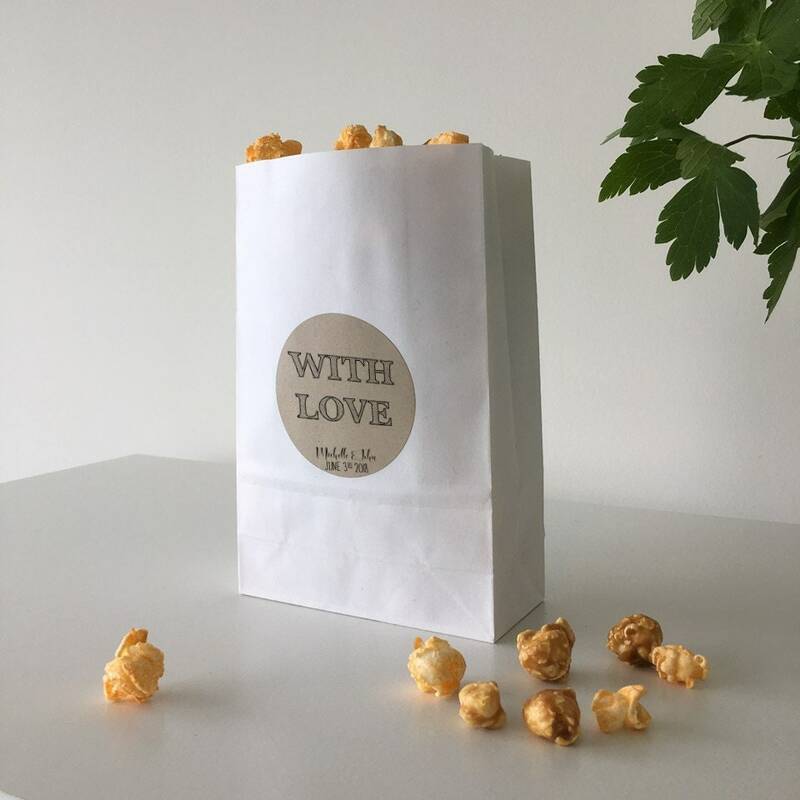 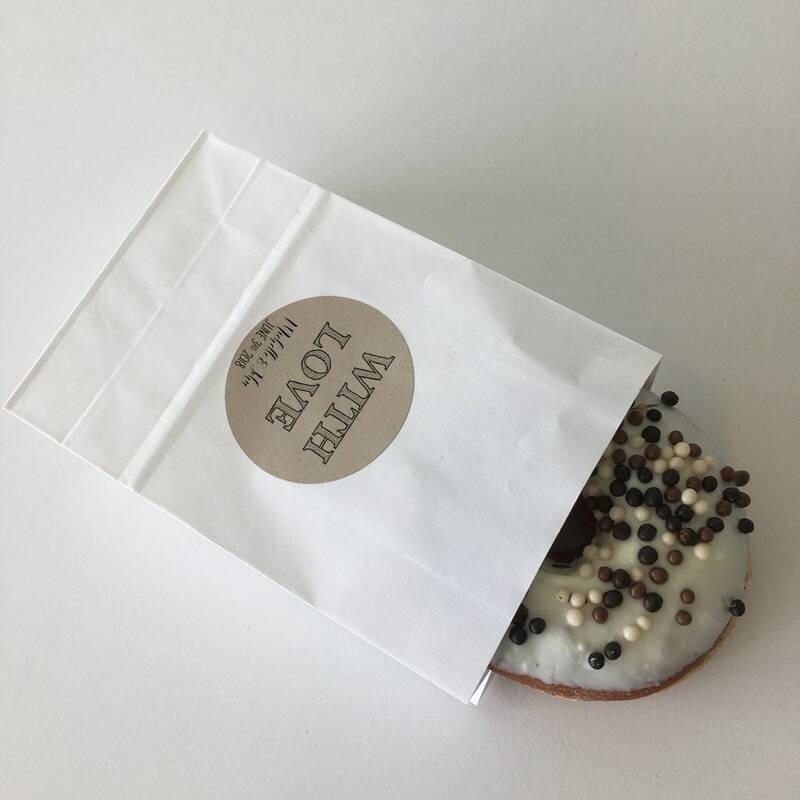 Set of 10 Wedding favor treat bags featuring the saying "With Love"
Bags are food safe with a stand up bottom, making these perfect to fill with treats such as candy, popcorn or sweets and have displayed standing on a favour table. 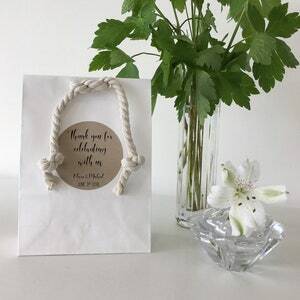 Or to include on a sweet table for your guests to fill with treats to take home. 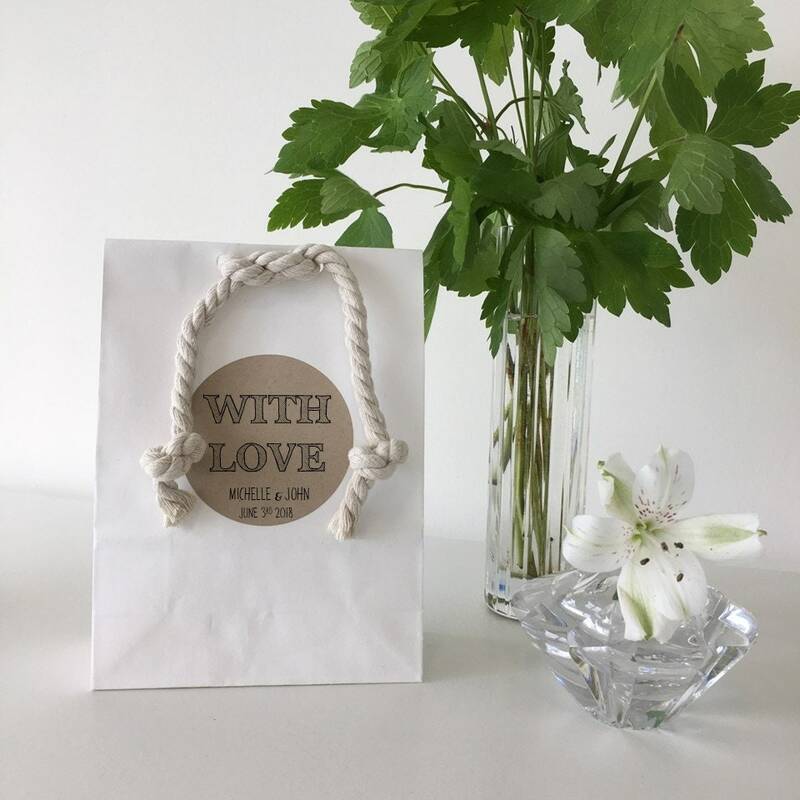 Please also note I've included some photos that show the bags styled with washi tape, ribbon and string to give you some ideas of how to style these for your event, these are examples for display and inspiration purposes. 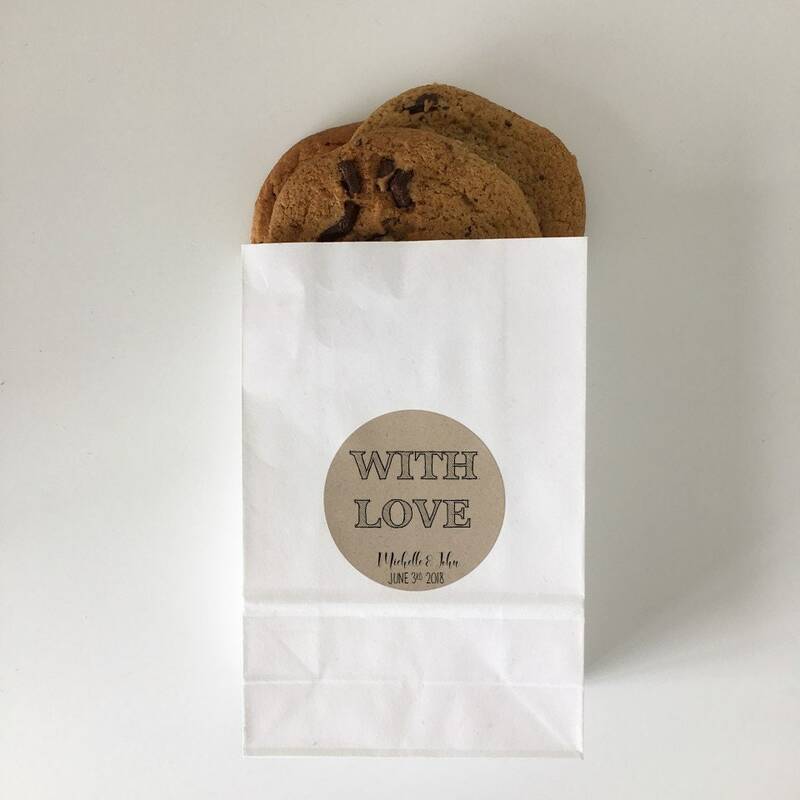 If you're interested in having me provide any of these additional items or having me full assemble your bags with treats and ribbon closures please reach out to me about your specific needs.